Most of the people are complaining about Installous API Error (API Unavailable) when they try to access Installous on their jailbroken iPhone, iPad or iPod Touch. 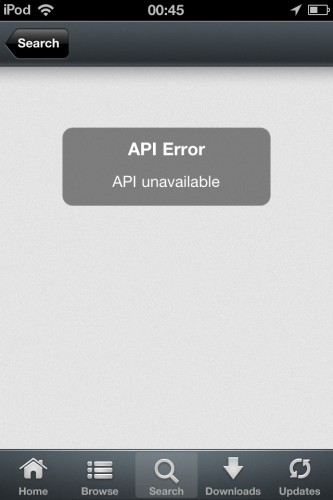 Installous API error (API Unavailable) is a temporary issue and usually indicates heavy loads on Installous servers. The only option left in this case is to wait, and it usually starts working after a minute or two. Weeeee, what a quick and easy soiutlon.